The Employer Shared Responsibility Provisions (ESRP) under the Affordable Care Act may seem straightforward, but, in reality, complying with them can be challenging and time consuming. An area that many Applicable Large Employers (ALEs) struggle with is knowing when they are required to extend an offer of coverage to their full-time employees. As an ALE, the IRS allows for certain grace periods, referred by the IRS as Limited Non-Assessment Periods, in which certain circumstances are allowed as reasons for not extending an offer of coverage immediately to a full-time employee. So, it’s important to understand Limited Non-Assessment Periods. It could help your organization avoid being penalized by the IRS. There are 6 different scenarios for claiming a Limited Non-Assessment Period. 1. First Year as ALE Period. January through March of the first calendar year in which an employer is an ALE, but only for an employee who was not offered health coverage by the employer at any point during the prior calendar year. This rule applies only during the first year that an employer is an ALE. It does not apply if, for example, the employer falls below the 50 full-time employee threshold for a subsequent calendar year and then increases employment and becomes an ALE again. 2. Waiting Period under the Monthly Measurement Method. If an ALE Member is using the monthly measurement method to determine whether an employee is a full-time employee, the period beginning with the first full calendar month in which the employee is first otherwise (but for completion of the waiting period) eligible for an offer of health coverage and ending no later than two full calendar months after the end of that first calendar month. 3. Waiting Period under the Look-Back Measurement Method. If an ALE Member is using the look-back measurement method to determine whether an employee is a full-time employee and the employee is reasonably expected to be a full-time employee at his or her start date, the period beginning on the employee’s start date and ending not later than the end of the employee’s third full calendar month of employment. 4. Initial Measurement Period and Associated Administrative Period under the Look-Back Measurement Method. If an ALE Member is using the look-back measurement method to determine whether a new employee is a full-time employee, and the employee is a variable hour employee, seasonal employee or part-time employee, the initial measurement period for that employee and the administrative period immediately following the end of that initial measurement period. 5. Period Following Change in Status that Occurs During Initial Measurement Period Under the Look-Back Measurement Method. If an ALE Member is using the look-back measurement method to determine whether a new employee is a full-time employee, and, as of the employee’s start date, the employee is a variable hour employee, seasonal employee or part-time employee, but, during the initial measurement period, the employee has a change in employment status such that, if the employee had begun employment in the new position or status, the employee would have reasonably been expected to be a full-time employee, the period beginning on the date of the employee’s change in employment status and ending not later than the end of the third full calendar month following the change in employment status. If the employee is a full-time employee based on the initial measurement period and the associated stability period starts sooner than the end of the third full calendar month following the change in employment status, this Limited Non-Assessment Period ends on the day before the first day of that associated stability period. 6. First Calendar Month of Employment. If the employee’s first day of employment is a day other than the first day of the calendar month, then the employee’s first calendar month of employment is a Limited Non-Assessment Period. Want more information? You can find more on the requirements of Limited Non-Assessment Periods in the Federal Register, Volume 79, No. 29 (Feb. 12, 2014). Limited Non-Assessment Periods are indicated on Line 16 of the 1095-C so it’s important to make sure you are claiming them correctly. 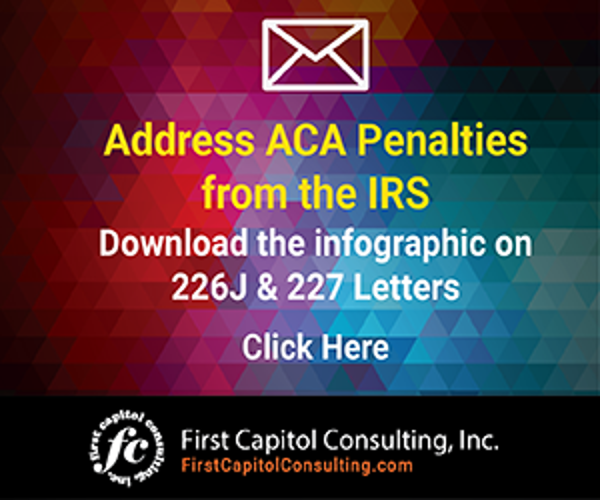 Failing to do so could result in 4980H penalties presented in IRS Letter 226J. As a reminder, under the ACA’s Employer Mandate, ALEs, organizations with 50 or more full-time employees and full-time equivalent employees, are required to offer Minimum Essential Coverage (MEC) to at least 95% of their full-time workforce (and their dependents) whereby such coverage meets Minimum Value (MV) and is Affordable for the employee or be subject to IRS 4980H penalties. 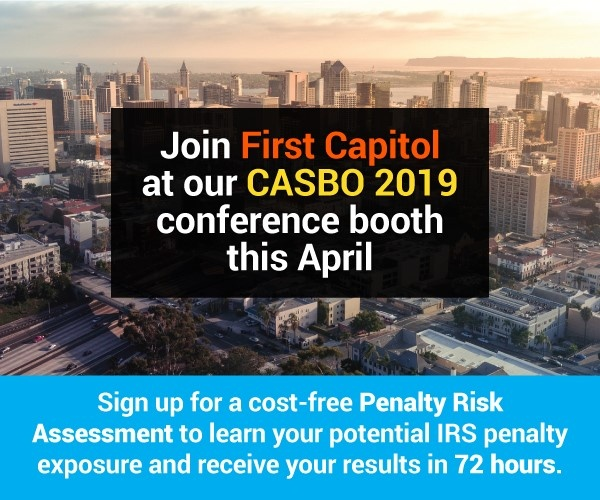 Employers should also note that the IRS is now issuing penalties for failing to distribute 1095-C schedules to full-time employees and to file 1094-C and 1095-C schedules with the federal tax agency by required deadlines under IRC Section 6721 and 6722. Importantly, the IRS is calculating the penalties based on the W-2 count, which will typically be much higher than the full-time employee count. 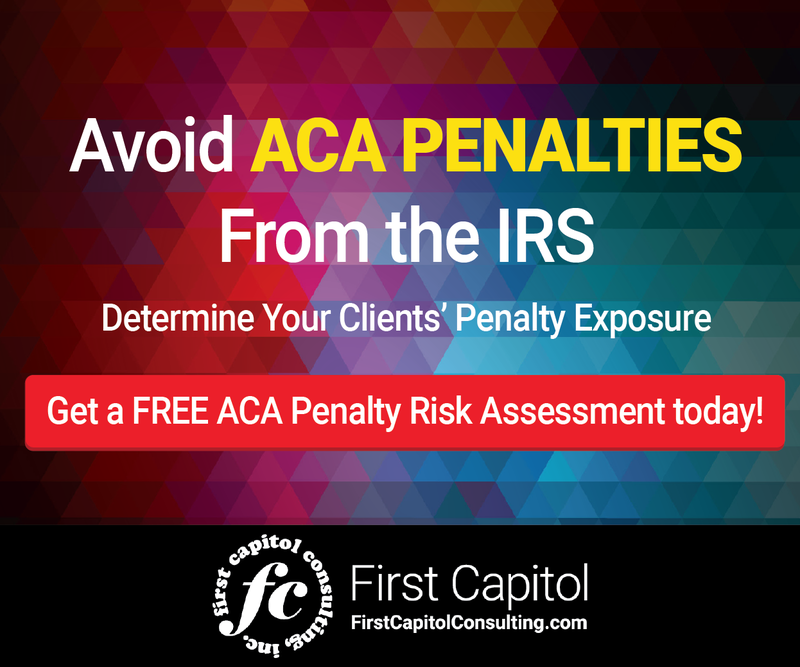 Employers might want to consider undertaking a free ACA Penalty Risk Assessment of their IRS information filings for 2015, 2016 and 2017 to ensure that the Limited Non-Assessment Periods are correctly and accurately coded on the 1095-C schedules. Many outside vendors will provide this service at no cost. It might just prevent you from receiving a penalty notice from the IRS. Understanding when you need to extend offers of coverage to your full-time workforce is one of the most challenging elements of the ACA.